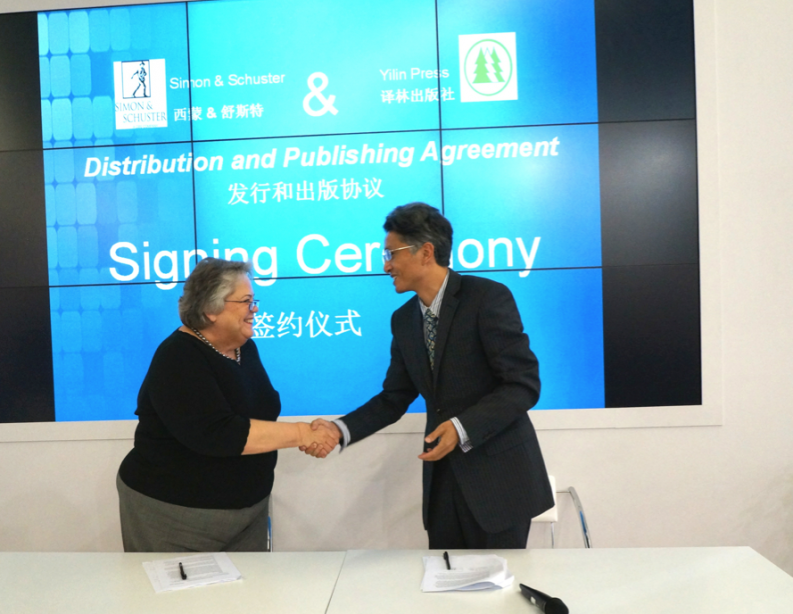 On Wednesday at the Frankfurt Book Fair, Simon & Schuster CEO, Carolyn Reidy, signed a distribution deal with Yilin Press in China to distribute Mandarin Chinese ebooks to readers outside China. A ceremony took place at the Yilin Press stand in Hall 6.1 to mark the occasion. Titles to be distributed include both classic and modern Chinese works as well as Chinese translations of literature from around the world.